The trinidad+tobago film festival (ttff), in association with RBC Royal Bank, invites applications for the fifth annual RBC Focus: Filmmakers’ Immersion, to be held in Port of Spain, Trinidad, from 23–26 September 2015, during ttff/14 ( 15–29 September). The application deadline is 10 July. RBC Focus: Filmmakers’ Immersion is an intensive development programme that provides 10 selected filmmakers from the Caribbean and its diaspora with the opportunity to learn from internationally respected filmmakers and other film professionals. The Embassy of Japan is pleased to announce that the Ministry of Education, Culture, Sports, Science and Technology (MEXT) has continued to offer the Research (Graduate Studies) Scholarships to Bahamians for the academic year 2016, which is tenable only in Japan. The scholarships cover tuition fees, flights to and from Japan and provide a monthly allowance. The Ministry of Education, Culture, Sports, Science and Technology (MEXT) offers scholarships to international students who wish to study in graduate courses at Japanese universities either as a (non-degree) student or a regular student.. 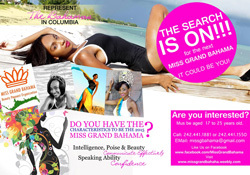 Attention all Ladies, THE SEARCH IS ON for the next Miss Grand Bahama. The ideal contestant for Miss Grand Bahama is a person who will successfully fulfill the requirements set forth and will wear the crown with dignity, respect and will be an excellent ambassador for the Bahamas. She must possess beauty/ good physical form; intelligence; effective communication skills; a great attitude; a motivated spirit; be ready to work as part of a team; excellent speaking ability as well as listening ability, and be overflowing with confidence. Overview: A film or video editor is responsible for assembling recorded raw material into a finished product suitable for broadcasting. The material may consist of camera footage, dialogue, sound effects, graphics and special effects. This is a key role in the post-production process and the editor's skill can determine the quality and delivery of the final product. The editor will work closely with the director to achieve the desired end result. Applicant must have a working understanding of Photoshop CS3 or above, Adobe Premiere CS5 or above, Final Cut Pro 7 and X, Adobe After Effects and have creative eyes and ear. 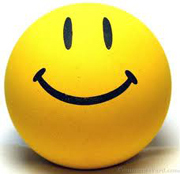 The Bahamas Weekly's editor, Robbin Whachell is working on a feature and we need your PHOTOS of Bahamian smiles! Children, teenagers, adults, grandparents, couples, groups, etc. Please send your photographs for consideration. 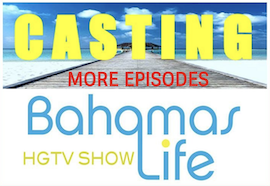 The Bahamas Weekly is looking for a few smart, aggressive and savvy interns to earn hands-on experience in a fast-paced, growing media environment. 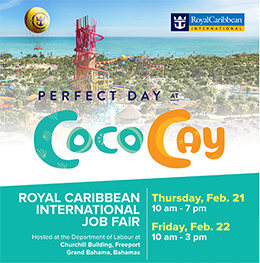 Royal Caribbean International Job Fair Thursday, Feb. 21 10 am - 7 pm and Friday, Feb. 22 10 am - 3 pm. Hosted at the Department of Labour at Churchill Building. The Bahamas National Festival Commission (BNFC) is looking for craft and food vendors for this year’s Bahamas Junkanoo Carnival in Nassau. Vendor applications are now available at the BNFC’s head office located on the 4th floor of the BAF Financial Centre on George Street and Navy Lion Road. 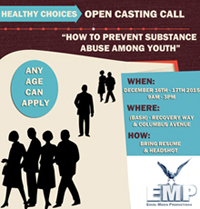 Nassau, Bahamas - Excel Media Productions in partnership with Bahamas Association for Social Health (BASH), a Civil Society Organization, through a US Embassy (Bahamas) funded grant on the "Healthy Choices: How to Prevent Substance Abuse Among Youth" documentary is to soon begin filming in Nassau, Bahamas. 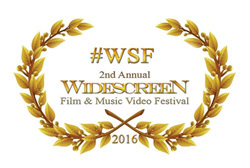 Aventura, FLORIDA - Dates have been set for the 2nd annual Widescreen Film and Music Video Festival at AMC Theatre in Aventura. The four day event will take place from February 24th through 28th, 2016. The festival is founded by twenty-four year old self-taught Bahamian filmmaker Jarrod Knowles who was one of the first Bahamians to delve into the horror / comedy genre with his film, "What Lies Beyond...The Beginning..."
Supermodel of the Bahamas Model Search will be hosting Nassau castings for young aspiring male and female models from the ages 14 - 21. All potential applicants must be of sound mind, outgoing, self-motivated and possess an intoxicating personality. Nassau, Bahamas - Research and Education for AUTISM and related Challenges (R.E.A.C.H.) is seeking an Executive Director. Are you looking for an exciting career path in the cruise industry? 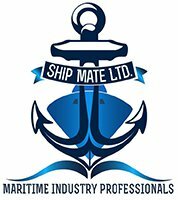 Are you willing to work at sea on a cruise ship for at least six months? If you answered yes to both these questions, then this opportunity is for you. 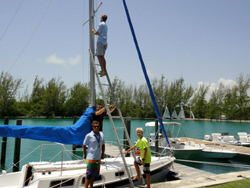 Bimini, Bahamas – If you’re looking for a new career, you’re going to “like” this! 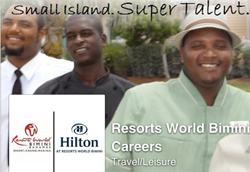 Resorts World Bimini(RWB) has taken to social media to engage potential team members in real time with its recently launched Resorts World Bimini Careers Facebook page. The Facebook page effectively broadens the Resort’s reach while utilizing the popular outlet to publicize career opportunities to those seeking employment. RWB General Manager Ray Valentino says the new page aims to attract the brightest and the best.“Bimini may be a small island, but if you have the skills to become part of a dynamic hospitality team..."
New York, NY – The Tribeca Film Festival (TFF), presented by AT&T, will hold its 15th edition on April 13– April 24, 2016 in New York City. Today the Festival announced a call for submissions for narrative and documentary features, short films, and exhibits in interactive storytelling. Returning for the second year is Tribeca Film Festival at Spring Studios, the Festival’s creative hub and destination for festivalgoers, industry and press where innovation events, select Tribeca Talks® panels, Awards night, parties, and more will take place. Andros, Bahamas - More than a dozen Bahamian companies – private sector agencies, environmental groups and charitable organisations – have agreed to provide internship opportunities for students of The Bahamas Agriculture and Marine Science Institute (BAMSI) as year one of the Institute’s academic portfolio comes to a successful close, a senior BAMSI official said. The Institute’s executive team, it was noted, is hopeful that the hands-on experience will help students develop a greater appreciation for and understanding of their chosen field of study, while also allowing students to see the breadth of career opportunities available to them upon graduation.